John Nielsen has the hotel business is in his blood. John’s father worked for years with Radisson Hotels in Brussels and, as a young man, John experienced different aspects of the hotel industry, from working as a waiter to counting coppers as a hotel accountant. He later transitioned to the real estate industry, working with both residential and commercial products, but the hotel sector kept calling. In an effort to get back into hotel management, John decided to return to his native Denmark to pursue a one-year full-time MBA from Copenhagen Business School. The Copenhagen MBA has developed a reputation for producing high-performing graduates: recent MBAs have earnt up to 40% increases on their salaries following graduation, and an estimated 80% find employment within three months of completing the program. The triple-accredited MBA program is designed to offer students like John a combination of theory and practice based on real-life scenarios. A globally respected institution, last year the program placed 27th globally in a Bloomberg Business Week survey of international full-time MBAs and 34th in the Financial Times European Business School Rankings. John (pictured right) graduated from the MBA program at Copenhagen Business School in 2010. Now, he looks after 12 European establishments overseen by Azure Hotels, where he serves as deputy chief executive officer and head of operations. 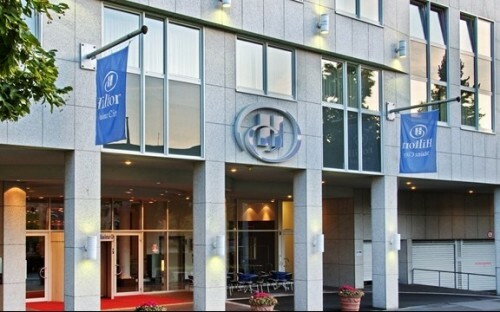 Azure has interests in well-known hotel chains like Radisson Blue, Holiday Inn, Hyatt, and Hilton. And John has infused his top spot at Azure Hotels with several skills he learned from the MBA, in entrepreneurship and business strategy in particular. “I think [what I learned at Copenhagen] translated well into how I deal with problem-solving,” he says. John still keeps in touch with his former Copenhagen MBA colleagues and tries to meet up with them at least once a year. His ex-classmates act as a support network, driving John on to follows in his father’s footsteps. Is The One-Year MBA On The Rise In The USA?